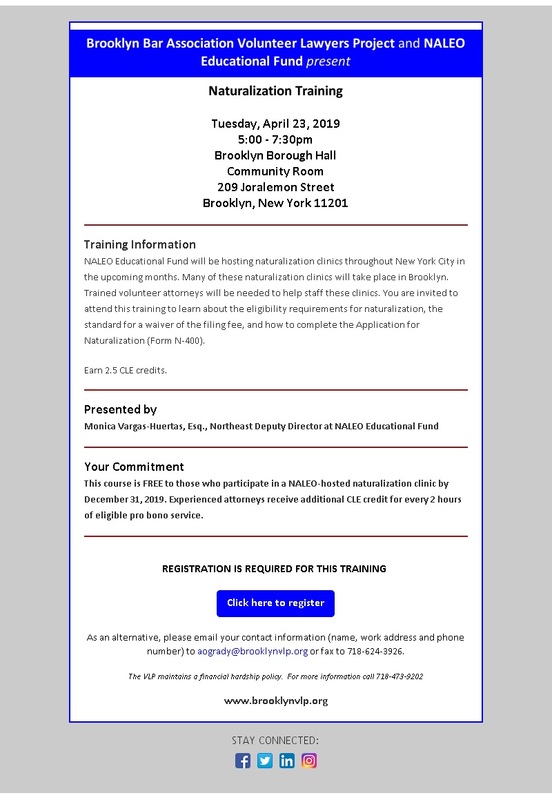 Join us for this two hour training to attorneys on the topic of providing services and community outreach to the elderly population. Healthcare and financial advance directives, testamentary substitutes, benefits and long term care planning for community, assisted living and nursing home care will be covered. Asset and income protection strategies, the Deficit Reduction Act, pooled income trusts, insurance and Medicaid will be discussed. 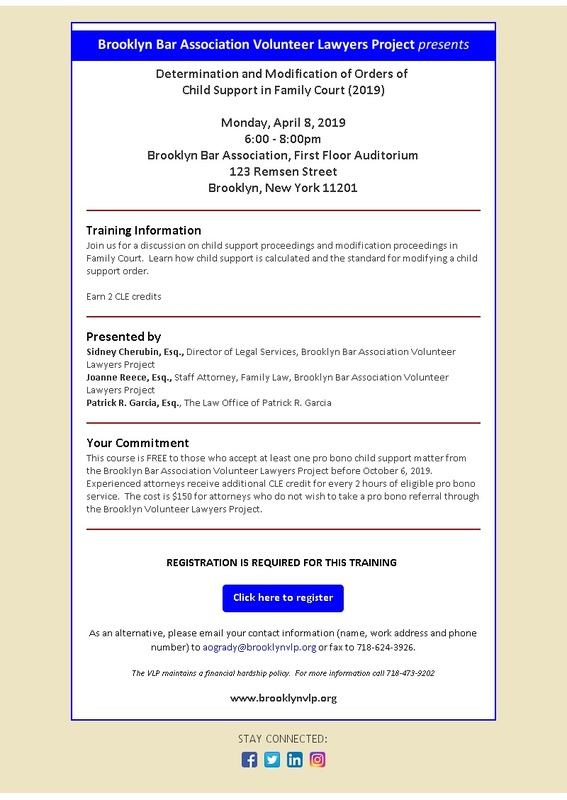 The cost of this course is $100 or is FREE to those who accept at least one pro bono referral for an Elder Law or other matter from the Brooklyn Volunteer Lawyers Project before May 7, 2012. Experienced attorneys receive additional MCLE credit for every 6 hours of eligible pro bono service. Download the registration form to register. 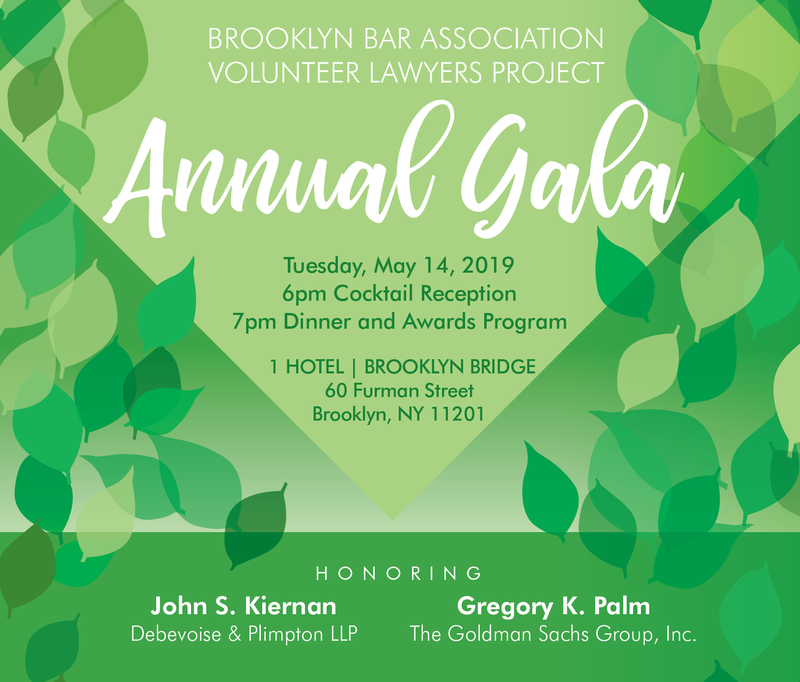 Help us provide legal services to Brooklyn. information and events from the BVLP!